40" packaged supershape. 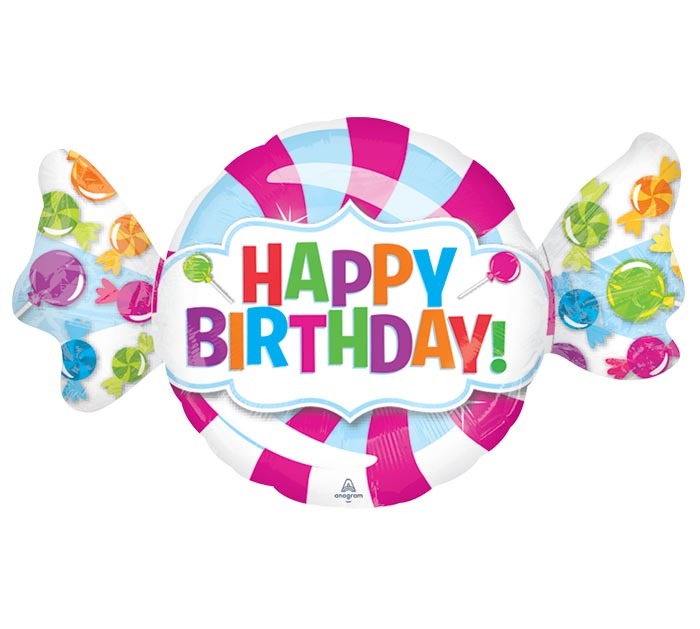 Candy shape with message: Happy Birthday! 24" H x 40" W.
Requires 2.39 cubic feet helium and will float up to 10,000 feet.